The board are the people who work hard behind the scenes – and sometimes at the forefront with our raucous singing – to keep the Red Dragons and our lair in good order and voice. There is our Thorsten our Chairman, Rick our vice-chairman and resident statistician, and Terry our senior pro. Together, our German Chairman and his two British lieutenants represent and reflect the status of the Red Dragons London as a truly international fan club of FC Bayern München. Every week you will find at least one of the board at our Stammtisch at the Bavarian Beerhouse, making sure that the tables and walls are all appropriately decked out in Rot-Weiß! Responsible for strategy, finance, events, social media and marketing. Thorsten is a German national and a Bayern fan with heart and soul. When he arrived in London there was no FCB fanclub but he noted plenty of individuals cheering for Bayern. Founding Red Dragons London back in 2013 only seemed a logical consequence. Ever since the official foundation he has been growing and nurturing the fanclub. 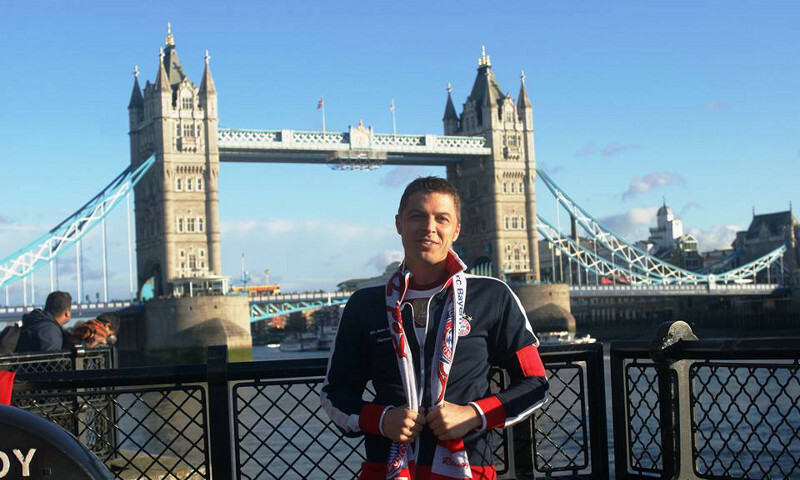 By now the Red Dragons are the largest assembly of Bayern supporters in the United Kingdom. His regular posts and images about FCB on Red Dragons’ Facebook and Twitter pages have found its way into German TV, radio as well as print media and have been featured by FC Bayern München. 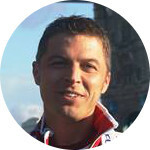 Responsible for website administration, editorial content and match reporting. 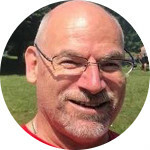 A follower of FC Bayern for over thirty-five years, Rick is arguably one of the longest-serving British-born fans of Munich’s finest – becoming a firm fan of the Münch’ner back in the summer of 1981 when nearly everybody else was supporting Liverpool. 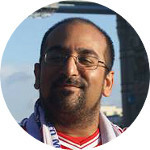 As well as his work for the Red Dragons, Rick runs the encyclopaedic Schwarz und Weiß website on the German national team, and as a statistician and analyst also writes for a number of other football blogs. 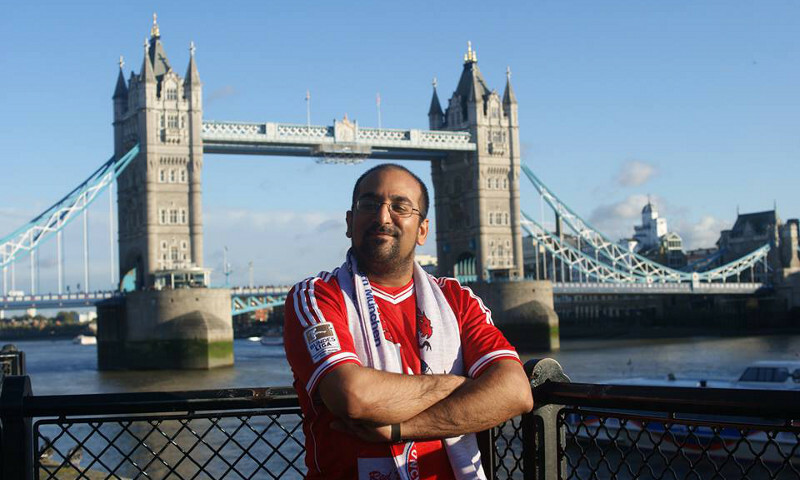 He is also the author of Red Odyssey, the first and so far only FC Bayern fan history written in English. Rick also has probably one of the largest collections of FC Bayern Trikots this side of the North Sea, so you’ll probably see him in a different one every week over the course of an entire season. Responsible for member admin and organisation. A fan of FC Bayern since the mid-seventies and a season ticket holder since the opening of the Allianz Arena, Terry brings age and experience to the board. Having supported Die Roten since their early European Cup winning days, Terry can lay claim to be the longest-serving British-born Bayern fan – a few years ahead of fellow Dragon Rick. With many years of visiting both the Olympic Stadium and the Allianz Arena behind him, Terry’s knowledge of Munich is second to none.